SPA-CE | What is SPA-CE all about? What is SPA-CE all about? 15 Jun What is SPA-CE all about? 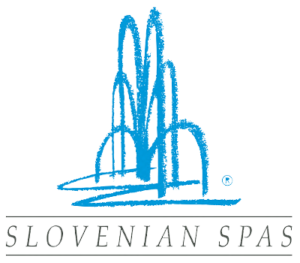 The Slovenian Spas Association is the initiator of the SPA-CE trade show, featuring not only Slovenian natural spas but also spas, wellness centres and providers of medical and other programmes from other Central European countries. One of the definitions of spa and wellness tourism is “tourism of well-being”, which is gaining importance all across Europe. In this modern world of rapid changes, natural spas and wellness centres are an ideal choice for escaping from everyday stress and realising the desired peace of mind, strengthening life energy and preserving our health. An important position is held by the tradition of rehabilitation and curative spa tourism, which is also a component part of the offer of natural spas. The main purpose of the SPA-CE trade show is for the most important providers of spa and wellness services from European countries to meet with travel organisers, tourist agencies, representatives of insurance companies and other potential buyers of their services. Unlike exhibiting at various fairs, the core of the SPA-CE event is a series of pre-scheduled appointments between providers and the buyers of services. The event is not open to the general public and the stress is on optimum utilisation of time. The aim of the organisers is for the SPA-CE trade show to become a place to meet, exchange ideas and provide opportunities for new connections among its participants!